Wheatear--one of my successful chases, and more than 25 miles from home. September 2009. Tillamook Co., Oregon. Sometimes it seems that birding is not always as fun as it can be. This can be due to distressing external factors, of course. But more often than not, it is the attitude that I have to simple changes in circumstances. Things don't always (in fact, hardly ever) go as planned. Take a look at this countdown list and see if these things have aggravated your birding "inner peace" recently. Fortunately, I have never had my car broken into while birding. I can imagine that this would really ruin your birding day,... or month. There are places where car break-ins are frequent, unfortunately. I suppose, even more upsetting would be muggings or robbery while birding. Kidnappings are a risk in some countries. I feel fortunate to live in an area where crimes against birders (that sounds like the punchline for a joke, doesn't it?) aren't usually a problem. On the other hand, I've had my share of vehicle problems. When I was a teenager a Big Day was ruined when I drove through a snow-melt puddle at high speed and stalled the engine, then destroyed the starter. We lost at least 4 hours getting a tow and repair, but still had a high number of birds.... I had a camping/birding weekend with 3 flat tires.... One vehicle's transmission went out half-way through a long-planned birding trip, but I got a rental car and had a wonderful long weekend of birding. I've rarely had trouble getting a weekend off from work, and never had a vacation canceled due to work (that I remember). Canceled vacations from lack of money from no work, yes, but not from work itself. Western Oregon has very few biting or stinging insects--a few yellow jackets may ruin your picnic, but rarely affect birding itself. On the other hand, I have a mental image of my wonderful wife running for the car through the sagebrush of eastern Oregon spraying mosquito repellent over herself the whole way.... I returned from my visit to North Carolina with chigger bites on my ankles. Those were nasty.... My only encounter with western diamondback rattle snake was also in far eastern Oregon. I got out of the car and was scanning the hillside with binoculars. After about 3 minutes I and heard and then saw the snake crawl out from under the small sage between my tennis shoes and head into the ditch! I stood very still. Sometimes I've woken up to nasty weather and just decided not to go birding for the day. But I've had some trips to the beach where birding consisted of running out to the headland for 5 minutes to scan for seabirds before retreating to the car.... I remember being in a group of birders at the south jetty of the Columbia River in spring--a really terrific shorebird location at the time--where we didn't even get out of the car! A Long-tailed Jaeger blew over the parking lot!.... An April pelagic trip was canceled a couple of years ago when we woke up to an inch of snow on the beach in Oregon!.... My most-recently canceled pelagic trips was this August when hot weather over northern California created a thermal low with strong north winds creating huge waves and sunny skies. That ruined a very special trip that was a repeat of the trip a year before... that also canceled due to high wind waves. I found out some time ago that those gray, showery spring morning where I stayed home because the weather was no good for photography, were the best days for spring migratory fall outs!... Sometimes the bird tracking software I use in the field acts up.... Now some people may say that I shouldn't be so dependent upon technology, that birding should just be me and the birds. But birding has always been about technology. Early birding could not be done without a decent shotgun. Later, a field guide was a great technological development. It wasn't until after World War II that binoculars were actually good enough to allow people to see birds well. Then scopes, then the Internet, then digital photography with huge lenses, then eBird. What's next? You know, missing a rare target bird doesn't bother me much. I tend to only "chase" birds within my own county. So I can usually get away to see a local rare bird on short notice. But I've said to myself on more than one occasion, "this is where that rare bird was... several weeks ago.".... I have found that I rarely travel to find rare birds more than about 25 miles from home. Though several years ago I did chase a Fork-tailed Flycatcher about 80 miles away. 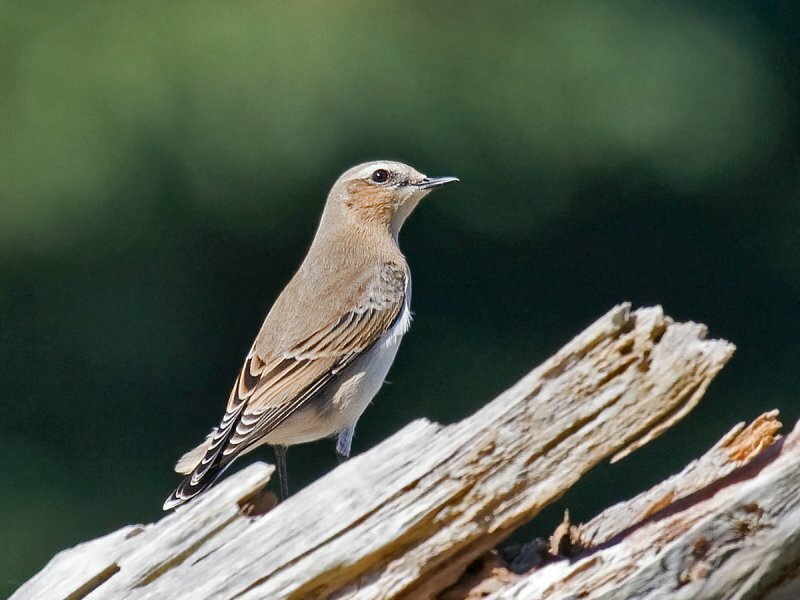 Amazingly, this bird was in SW Washington--a state I don't even keep a birding list in--and midweek. I really wanted to see that bird... and I did.... This afternoon I drove 20 miles to see a Stilt Sandpiper reported this morning in my home county. I didn't see it. This hasn't happened to me,... yet. But there are plenty of other times where I've been a victim of my own mistakes. I haven't forgotten my passport on out-of-country trips. And I have two batteries for my camera. Only recently have I placed a pair of binoculars in the car for impromptu birding. I could have used binoculars last week when I was walking the dog and an unknown warbler was working through the bushes. I'm sure it must have been something good, but I couldn't get it to come out close enough for me to see. Most of the time birding is fun. But not always. I'm sure your list includes things I haven't even thought of. What has ruined your birding?